Total Living: 2,097 sq. ft. 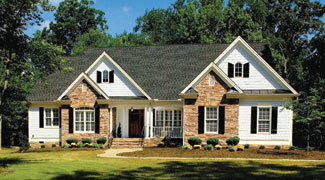 Multiple gables - some with stone accents - create a classic facade on this one story home. 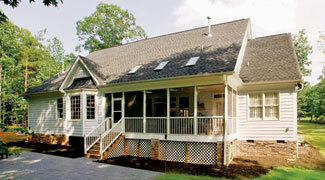 The large screen porch features a triplet of skylights. 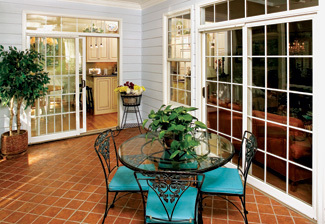 This homeowner chose to add a bay window to the breakfast nook, which provides additional detail to the rear exteriof.